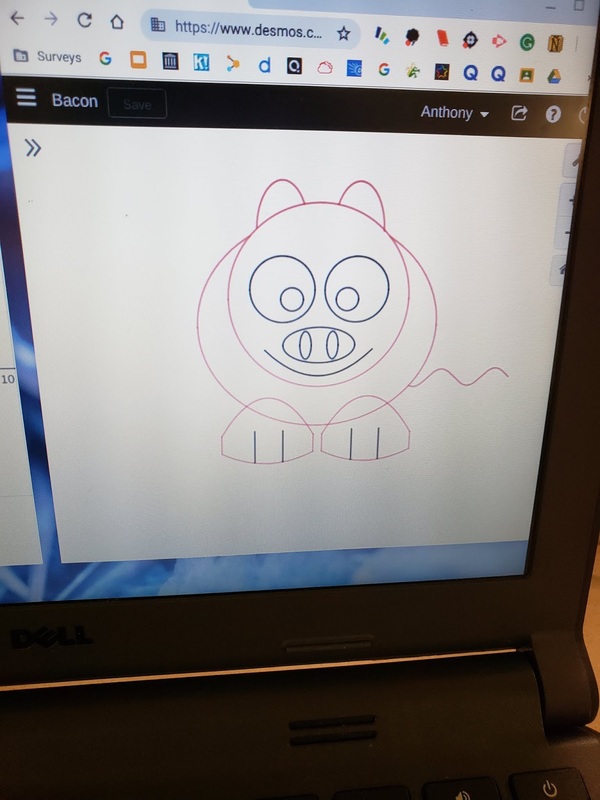 I recently Tweeted about my 7th grade students making coloring pages on Desmos. I originally saw the idea from Sarah Plain and instantly fell in love with the idea! Here is a little more information, for anyone interested! If you're anything like me, you find every possible way to get students engaged in math. Our district is fortunate to have 30 minutes every day for students to take mini-courses that they choose. This block of time, called "acceleration", is 4 weeks long and courses range from STEM to poetry to sign language. Teachers create the courses and come up with an outline to get approved. Every round, students rank the courses and are placed into (usually) one of their top three choices. I designed a course called "Drawing with Desmos" and my students love it! Obviously, there is going to be a wide range of background knowledge with seventh graders. My Algebra 1 students have been graphing linear functions for a solid year at this point, but students on grade level and accelerated (in Pre-Algebra) have not gotten to graphing yet. I wanted all students to get interested and excited about what they were going to learn, so I started with everyone's favorite: Polygraph (twelve functions). I then created a choice board that had different "levels" for students to choose from: beginner, middle, and expert. For the students in the "beginner" category, I gave them codes for things that involved plotting points (mini golf, etc.). For the middle category, I created an Activity Builder that included several different functions, starting out with sliders and ending with marbleslides for each. And then there was the expert level where students could explore and create pictures. This went really well for several days. However, I noticed that students were not wanting to push themselves outside their comfort zone. Students would create a pumpkin, but only used lines. I really wanted them to try new functions. Therefore, once a week, we did an Activity Builder as a whole class and I pushed students to graph using parabolas, exponential functions, and even circles. And what I started seeing was magical! Algebra students really stepped up and helped out students that were new to graphing. Students shared ideas, helped get curves "just right", and were cheerleaders for each other. Definitely some proud teacher moments here! I was still full of excitement and JOY for my students when I stumbled upon Sarah Plain's (@mrs_plain_LCPS) Tweet. 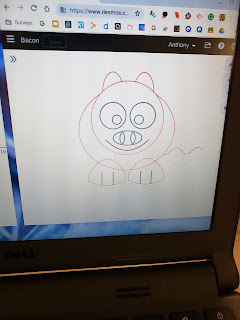 I came back to school the next day with a new task for my Drawing with Desmos students: create a coloring page to send to elementary students. 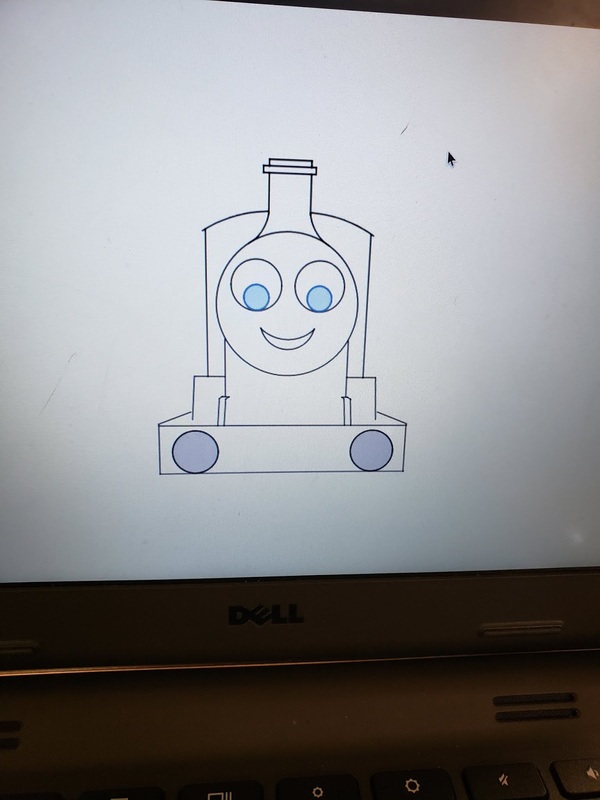 The concept is brilliant: students choose a picture of their choice to create on Desmos and then they are sent to our feeder schools to show students the awesome things you can do with math! This helped give students a purpose for creating a picture. I had a student create the Chicago Bears logo and now there was a reason That really helped encourage them! They emailed me their creations, told me the name of a teacher to send them to, and some even created a second picture. A-MAZ-ING!!! On Twitter, I was asked if there were guidelines for this project. Since this course is not graded, it is difficult to have guidelines. I encouraged creativity, but also realized that some students were still beginners. 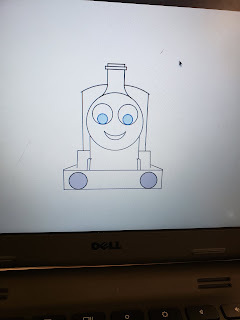 I had one student create a Z that took him a week and I was SO PROUD of his perseverance! 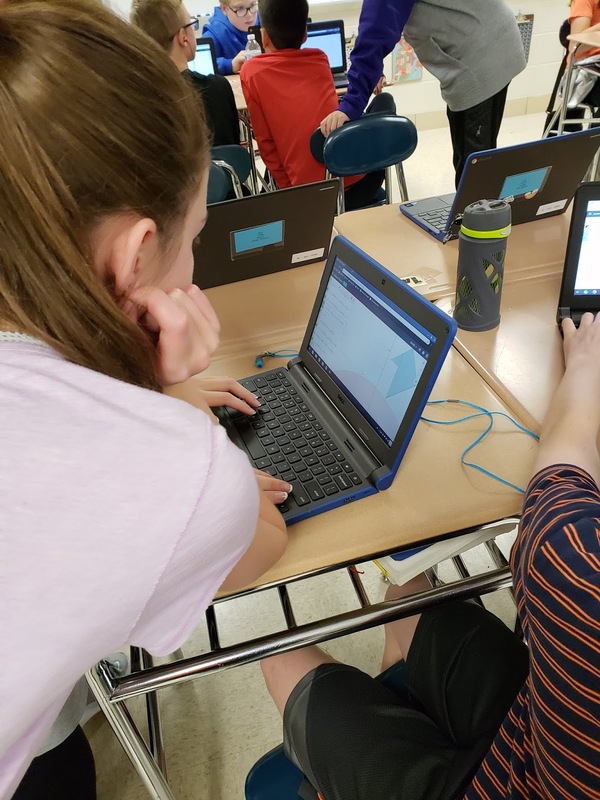 *Side note: every Friday of this course, we had a "gallery walk" where students open their Chromebook to something they've been working on lately. Some students showed a half-finished coloring book page, some showed Marbleslides, and some showed a slide from Activity Builder. Again, I LOVED that students celebrated everyone, no matter what they were working on! 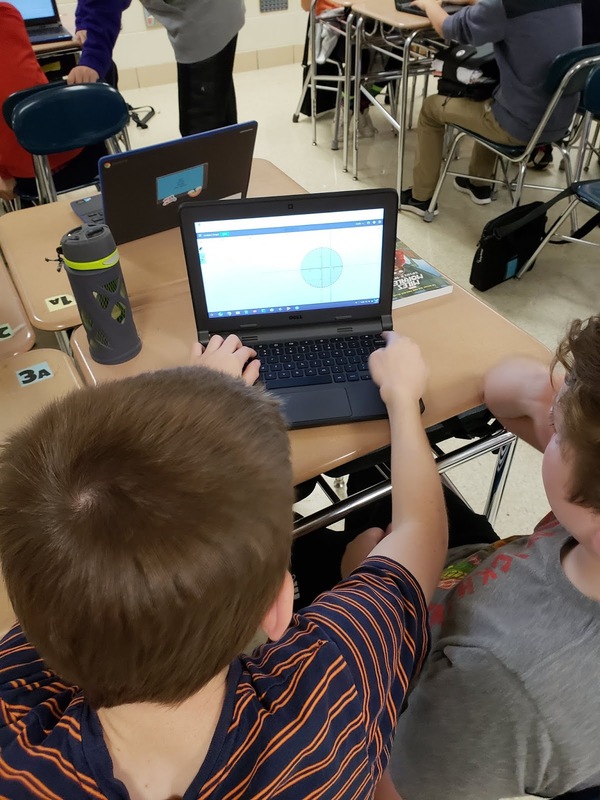 If you haven't done a gallery walk with Desmos, I highly recommend it! In the end, I sent over about a dozen pictures. All students hid the grid and axes, as shown in the pictures below. I included a cover page for the teachers I sent them to, explaining what the project was and how students created them. I love the connection it created between our school and the elementary schools. We are a unit district, but do not connect nearly enough. I am so proud of all my students and hope their former teachers are, too! I am a 7th grade math teacher in a suburb of Chicago. I received by B.S. in Middle Level Education from Valparaiso University, my M.Ed. in Mathematics Education from National Louis University, and my M.Ed. in Technology Education from Concordia University. I love the Hunger Games, Finding Nemo, The Sandlot, tacos, the color pink, and of course, cupcakes! I also have the best two cats, Grant and Storm Shadow, that I adopted in 2007!